One of the popular professional golf players is named as Rory McIlroy who is the member of both European and PGA Tours. For 665 days, he was world number one in the Official World Golf Ranking. He is well known Irish celebrity. He is famous for contribution to professional life. Currently, he is playing in European and PGA Tours. He had played for Asian Tour. He is a very talented and skilled golf player. Altogether, he has won 4-time major champion. He is nicknamed as Rogers, Wee-Mac. By profession, he is a golf player. Passionate and enthusiastic golf player, Rory McIlroy was born on 4th May 1989. He was born and raised in Holywood, Country Down, city of Northern Ireland. He is the son of Gerry Mcllroy and Rosie McDonald, his father and mother. His nationality is Irish. His astrological sign is Taurus. At a small age, he began his career with golf. He started his primary education at St. Patrick’s Primary School and then enrolled in Sullivan Upper School in Holywood, Belfast. He began his golf education at the Holywood Golf Club. He belongs to white ethnicity. Rory has got a great personality. Talking about his body, his height is 1.74 m. His weight is of 73 Kg. His eye color is dark brown and the hair color is also dark brown. He has a balanced body with good health. He has an attractive body figure. His smiling face and charming personality have helped him to gain the attention of all the viewers. His sexual orientation is Straight. Rory was a member of Europe's winning 2004 Junior Ryder Cup team which was held in Ohio. He was just the age of fifteen. In the year 2005, he became the youngest winner of both the West of Ireland Championship and the Irish Close Championship. After his wins in 2005, he decided to go the golf scholarship and continue to play amateur golf in Europe. Rory represented Ireland in the Eisenhower Trophy in the year, 2006. 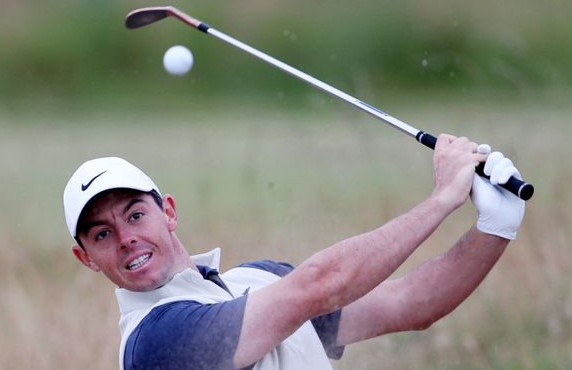 Rory was also awarded The Silver Medal as the leading amateur at the 2007 Open Championship. He was also part of the Great Britain & Ireland team at the 2007 Walker Cup. Later on 18th September 2007, he turned professional golfer and signed with International Sports Management. He became the youngest member to earn tour card and he earned €277,254 in the 2007 seasons. Rory started his 2008 European Tour season at the UBS Hong Kong Open where he did not make the one undercut. He ended his 2008 seasons with six top 10 placements and ranked 79th in the World Golf Ranking in the month of November. He attained his highest world ranking position of 50 and ended his 2008 season ranking 39th Position. Later, due to his brilliant performance, he was invited to the 2009 Masters Tournament and he won the Dubai Desert Classic on 1st February 2009 which ranked him in 16th Position. This was his professional winning tournament. He announced that he would join the American based PGA Tour for the 2010 season in November 2009. Later, he accepted an invitation from Gary Player to participate in the 2009 Nedbank Golf Challenge. But he withdrew it because of unwell. In the year 2010, he finished 3rd at the 2010 Abu Dhabi Golf Championship. On June 19th, 2011 he captured his first major championship victory with at the U.S. Open. He also won the UBS Hong Kong Open in December 2011. He won the 2012 PGA Championship at Kiawah Island on 12th August 2012. He won the 2013 Emirates Australian Open on the 72nd hole by beating Adam Scott. In the year 2014, July 20th he won the 2014 Open Championship at Royal Liverpool. In the year 2015, he was awarded the European Tour Golfer of the Year Award. His name was also enlisted in the FedEx Cup which made him won $10 Million. He won the Deutsche Bank Championship in Norton, Massachusetts in 5th September 2016. In the 2017 season, he was injured in the rib. Rory won the Arnold Palmer Invitational with a final-round 64 in 18th March 2018. Rory and Patrick Reed teed off in the final pairing at Augusta National. He made three shots behind Reed. Rory shot a 74 to finish six back of the winner, Reed and was thus not able to take advantage of this opportunity to win a green jacket. Later, he tied for second with a score of six under par at the 2018 Open Championship. He won many awards in his careers such as PGA Player of the Year PGA Tour Player of the year Vardon Trophy and many more. Rory is a married man with, Erica Stoll. They married in April 2017 at Ashford Castle. In 2015 they started dating. Presently, they seem to be very happy with each other. The couple makes public appearances together often. There is no sign of Separation between them. They are living peacefully. Previously he dated Holly Sweeney (2003-2011), Caroline Wozniacki (2011-2014) and Meghan Markle (2014). This excellent player makes good money from his work. 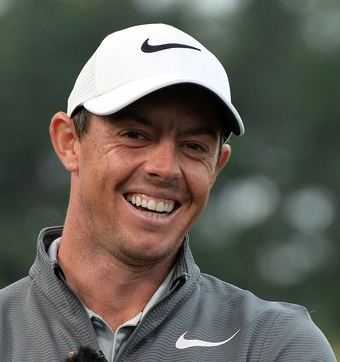 The net worth of Rory is estimated to have $110 million as of 2018. His salary is kept in privacy but there is no doubt in the mind of his supporters and followers he is satisfied with his earning.